For most visitors to Britain, Royalty and the Monarchy come high on their lists of things they want to learn more about. More Than Good Manners specialises in offering its guests a personalised and first hand insight into this important part of British heritage. We can provide a range of tours based around visits to various 'Royal Residences' in London, England and Scotland. Our tours feature very famous Royal Residences like HM Tower of London, Buckingham Palace and Windsor Castle but we can also introduce our guests to other less well known castles, palaces and historic houses associated with the British Monarchy past and present. They include Sandringham House in Norfolk, still a functioning Royal Residence of HM the Queen, Kensington Palace in London, birthplace of Queen Victoria, Hampton Court Palace, one of the finest and most impressive palaces in Europe located just outside London, Kew Palace in London (originally owned by Veronica de Lotbiniere's family ), Holyrood Palace in Edinburgh, HM The Queen's official Residence in the Scottish capital, Balmoral Castle and Glamis Castle, the ancestral family home of HM Queen Elizabeth The Queen Mother, in the north east of Scotland and the Castle of Mey in the far north of Scotland, which was her private residence. 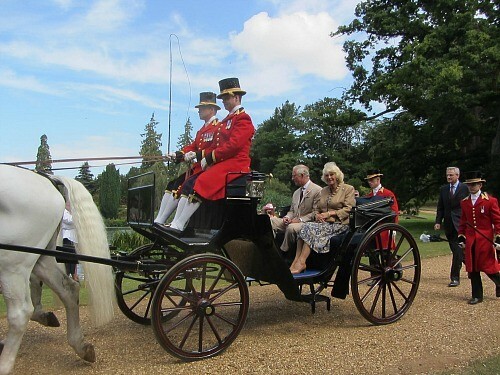 We tailor our Royal Residence tours to your requirements and welcome guests travelling individually or in groups - no matter how small or large! Whether you want to spend just a day in and around London exploring Royal Residences or embark on a two week trip around the country including London, the East of England, Edinburgh and the Highlands of Scotland More Than Good Manners can provide guiding services throughout and also make arrangements for accommodation and other ground arrangements such as transportation if required. More Than Good Manners insider tip - why not combine a Royal Residence tour with a stay in a stately home, manor or castle ? Visit the Accommodation section of our website for some inspiration and ideas!